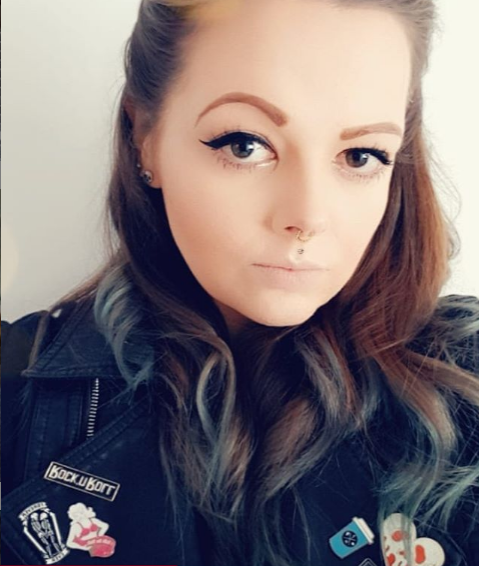 I lack in the eyebrow department, I basically look like a spoon unless I draw them on. Probably thanks to years of drawing them on in ultra thin jet black for my Goth years! I've wanted this for a while so when my lovely mum got it for me for Christmas I was very happy to say the least. 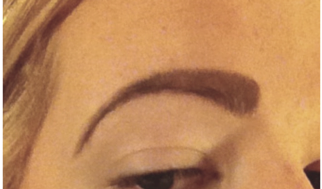 I used to draw my eyebrows on with eyebrow pencil and then make them look less harsh using eyeshadow but no longer! I won't lie the first time I used this I was gutted, it was difficult and took me forever when I could have two eyebrows in a matter of seconds with a pencil however I stuck with it and I've fallen head over heels in love. 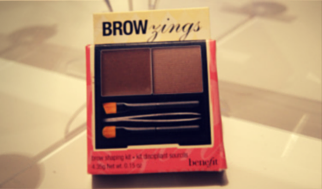 You get a pigmented wax and a powder along with an angled brush, a blending brush & a pair of mini tweezers. You use the angled brush to first apply the colored wax and then add the powder using the blending brush. The powder sticks to the wax and lasts all day long. I don't have the worry of my eyebrows melting down my face any more! 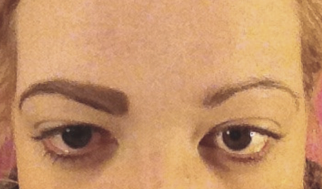 As you can see my thin messy eyebrows are turned into actual eyebrows, huzzar! It does take practise, I won't lie and say it's super easy because I struggled to start with but now I've got the hang of it, this has definitely replaced my old eyebrow pencil. 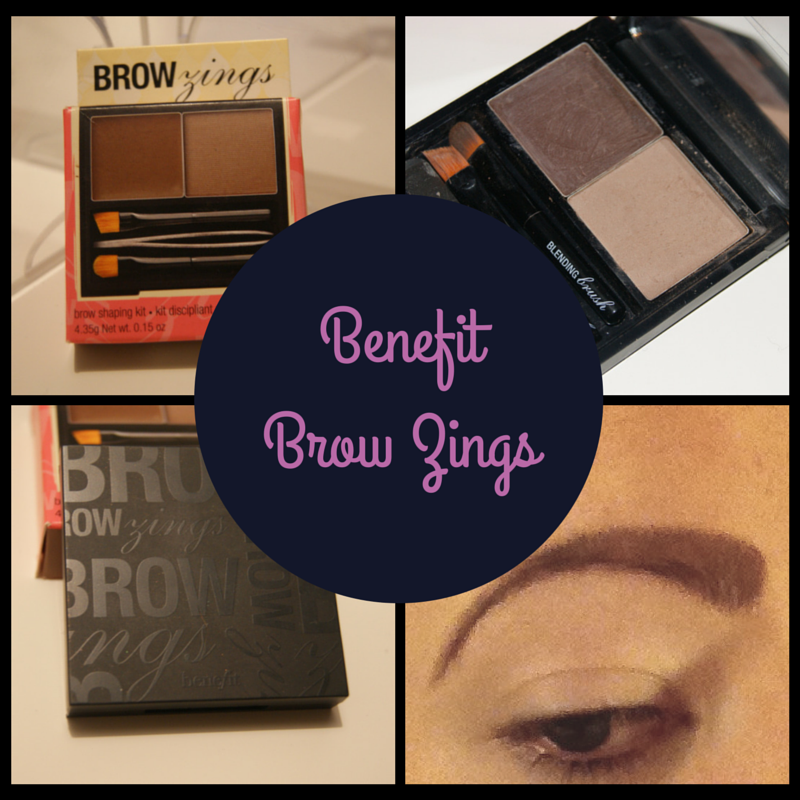 Have you tried Brow Zings or any other similar eyebrow product? What did you think? Oh really? I'll deffo try it out as I think this was £22 or around that so it is quite expensive! 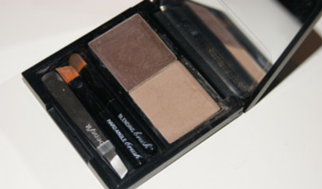 I used to love this and then I bought the sleek eyebrow kit for like £8 and it's almost exactly the same. So you can save yourself a few pennies when this is finish. It lasts ages though. 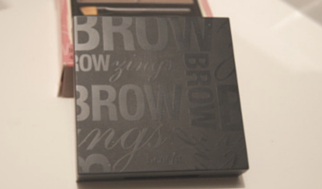 If you love this brow product, try Anastasia Brow Wiz! I use it nearly everyday and I love it! 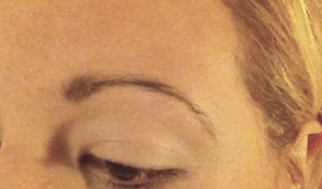 It can be kind of pricey for a brow product, but it lasts super long! I love the layout of your blog. Would you mind checking mine out?